You wave him over, carefully explain the test procedure and obtain his informed consent. 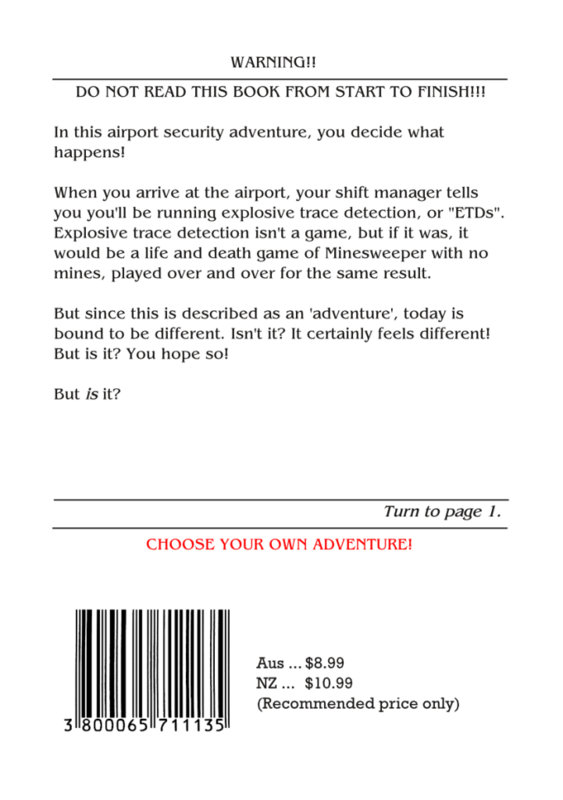 To conduct an explosive trace detection test, turn to page 2. The test result comes back: Negative. You’re not surprised. The vast majority of test results are negative, so this wouldn’t be a realistic adventure if your first test found explosives! To select your next passenger, turn to page 3. 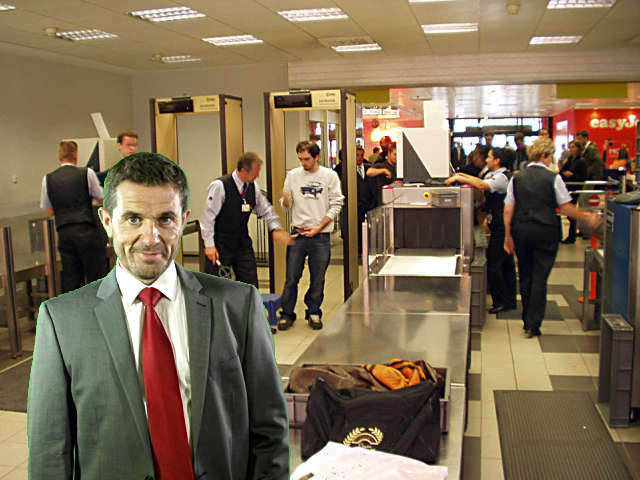 Another passenger passes through screening. “I always get chosen for this!” the man says. You are not sure if he is being passive-aggressive or bragging. You explain that selection is entirely random, then obtain informed consent. To conduct an explosive trace detection test, turn to page 4. Same result again. Remember, this isn’t all that surprising. It could be a while before you get a positive result, and even then, there's a very good chance it will be a false positive. To select your next passenger, turn to page 5. She’s in a hurry and doesn’t look too happy about being chosen (the picture above was taken before you called her over). You obtain the lady passenger’s informed consent. As you do, she starts to look nervous. To conduct an explosive trace detection test, turn to page 6. The test comes back negative. Maybe the lady passenger’s reasons for being nervous are unrelated to your explosive trace detection test. To select your next passenger, turn to page 7. You already have the gentleman passenger’s attention, so why not obtain his informed consent and test him for traces of explosives? To conduct an explosive trace detection test, turn to page 8. The test comes back negative. To pretend the result is positive just to make this interesting, turn to page 9. To select your next passenger, turn to page 10. Calm down. There’s no need to force the adventure. I’m sure something interesting will happen soon. For now, just enjoy pretending to be an everyday hero. This passenger appears to be some kind of tradesman. “I always get chosen for this!” the man says in a familiar voice. To fire off a witty retort, turn to page 11. To explain that selection is random, then obtain informed consent and conduct an explosive trace detection test, turn to page 12. It’s tempting to try and be a friend to the passengers, but that isn’t your job. Your job is to test for traces of explosives. Friends don’t do that to friends. A witty retort would be inappropriate, but a wry, ambiguous smile would say, “I know these tests are an inconvenience, but I’m a professional doing a job.” I think that is a better idea. 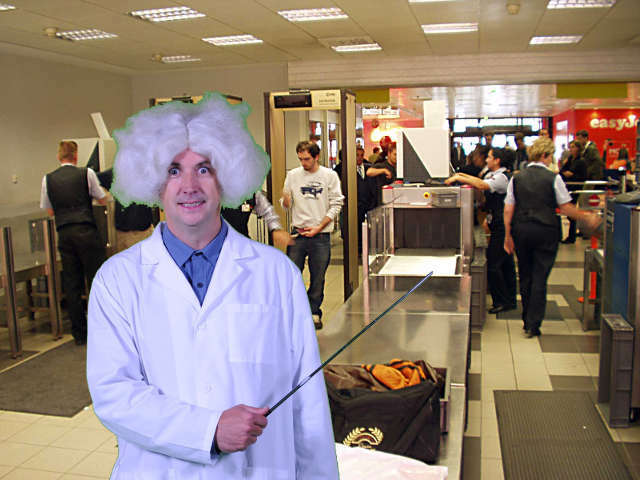 To give a wry, ambiguous smile and proceed with the explosive trace detection test, turn to page 12. The man looks thrilled with the result. 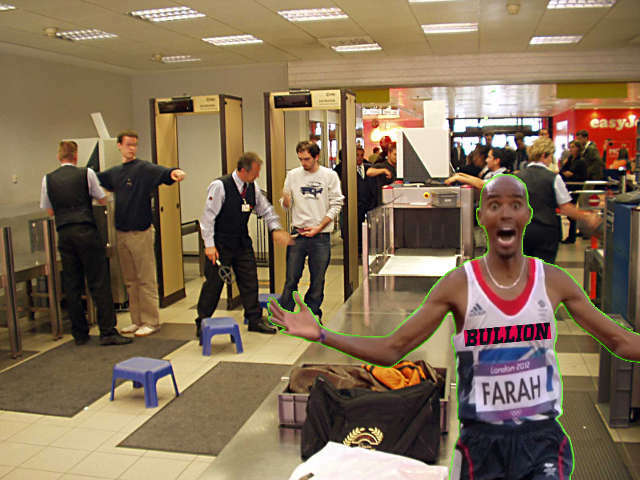 He turns around and heads back through security screening. It’s odd, but there’s nothing you can do about it. To select your next passenger, turn to page 13. This passenger looks shifty. Lucky she was selected randomly by your random selection. You wave her over. She seems reluctant, but she complies. You notice beads of perspiration on her brow. To conduct an explosive trace detection test, turn to page 14. To wait for the machine to return a result, turn to page 15. The machine is still thinking. The woman looks over her shoulder. It looks like she’s about to run. To keep waiting for the machine, turn to page 16. The woman’s eyes widen as she sees it. To look at the test result, turn to page 17. You wish the woman a pleasant flight and she hurries off to her gate. To select your next passenger, turn to page 18. There’s no reason to be suspicious of this woman, but your job is to test her for traces of explosives. To conduct an explosive trace detection test, turn to page 19. To not bother testing because you keep getting the same result, turn to page 20. Whoops! That would be a sackable offence. Fortunately, your supervisor wasn’t looking and you have a chance to reconsider. Since you seem to be your own worst enemy, I’m going to remove one of the choices. Predictably, the test is negative. To select your next passenger, turn to page 21. 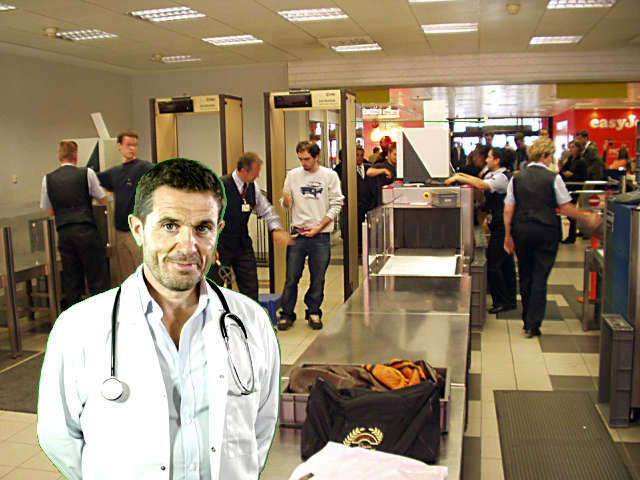 Here’s another gentleman passenger, dressed like a typical doctor of medicine. “I always get chosen for this!” the man says in a familiar voice coming from a familiar face. 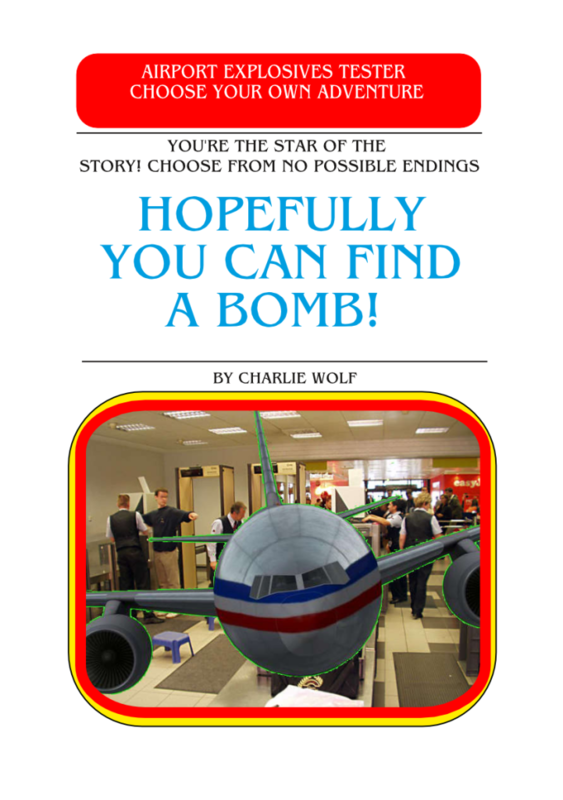 To conduct an explosive trace detection test, turn to page 22. 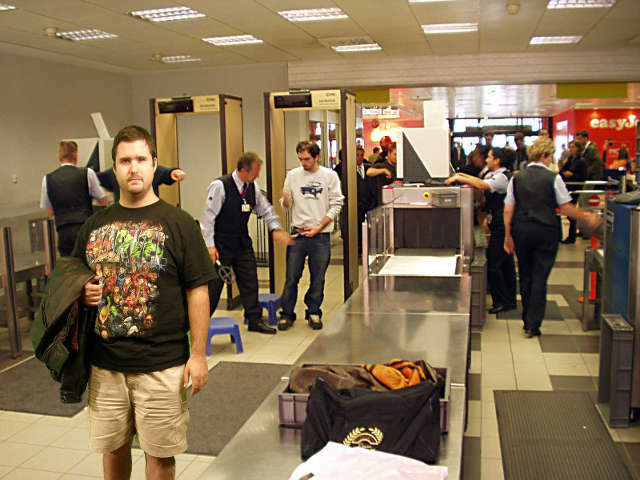 To say, “Haven’t you been through security already in different clothes?”, turn to page 23. 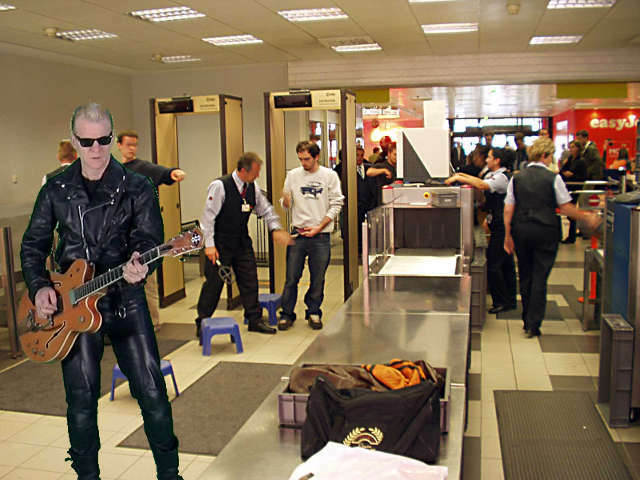 It sure would be nice to know why this man keeps coming through security in different clothes. That isn’t what you’re here for. The man gently takes your hand and guides it to the scanning wand. The test is negative. The man shrugs, turns around and walks back past security. To select your next passenger, turn to page 24. This is undoubtedly exciting and unexpected, and maybe if this were an elephant-based adventure you’d have some options here. 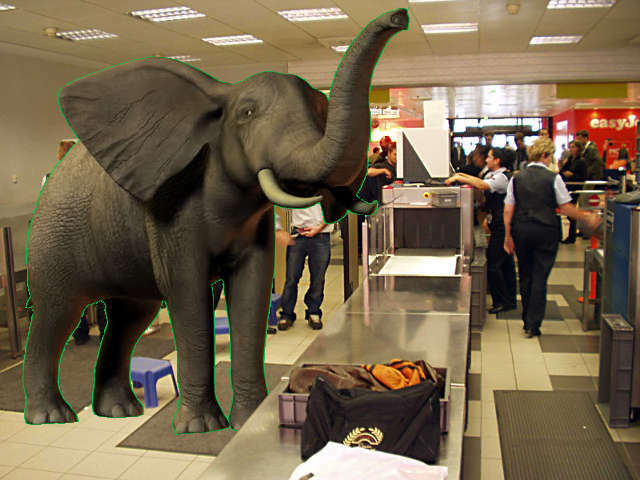 But you’re an airport explosives tester, not an airport elephant something. To select your next passenger, turn to page 25. The next passenger is former/current Hollywood actress Jessica Alba. Jessica Alba is dressed for adventure and holding a gun (which the scanners seem to have cleared it so it must be okay). 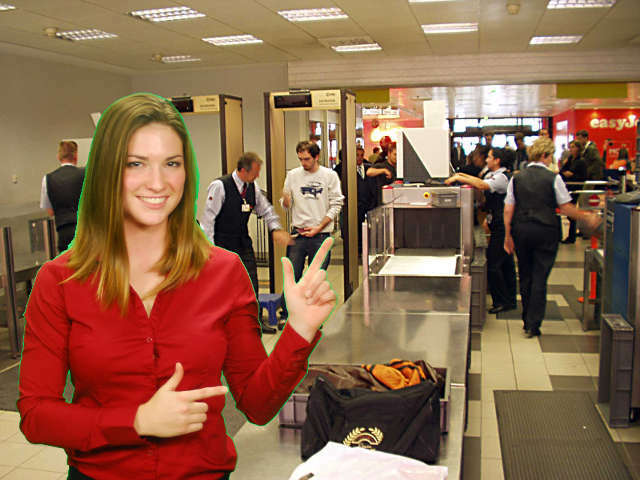 You wave Jessica Alba over for an explosive trace detection test. To ignore Jessica Alba’s pleas for help and conduct an explosive trace detection test, turn to page 26. The test result is negative. 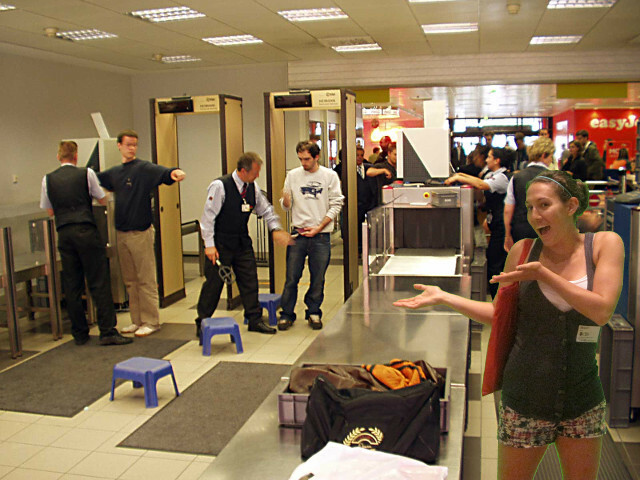 You wish Jessica Alba a good day as she is taken away at gunpoint by government agents of some kind. As she is dragged away, she stares at you in disbelief. To select your next passenger, turn to page 27. “I always get chosen for this!” the man says, putting on a fake voice so he sounds like a construction worker. To conduct an explosive trace detection test, turn to page 28. To refuse to scan the guy unless he explains what he is doing, turn to page 32. 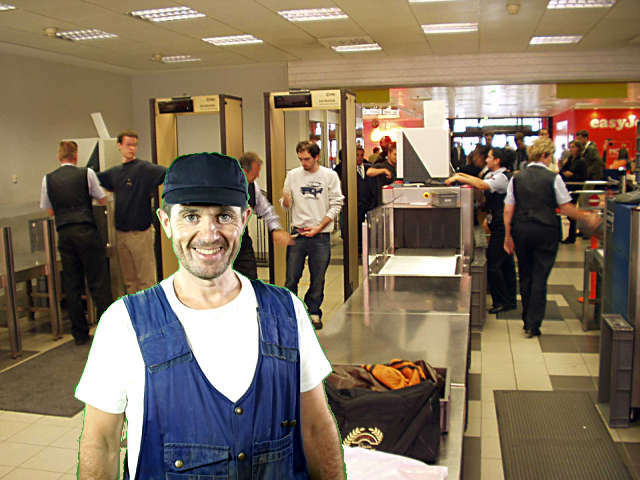 You almost refuse to scan the guy, before realising that your job is to scan, not to judge. 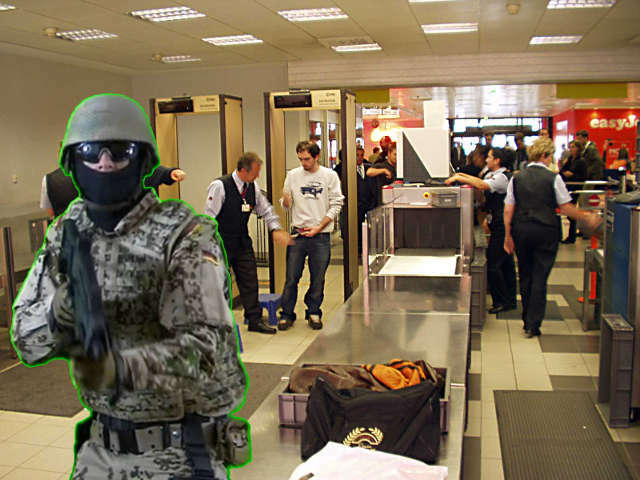 What if he went and strapped explosives to himself just prior to his fourth trip through the scanners, knowing that you were sick of scanning him after the first three times? Didn’t think of that, did you? Lucky you have such a helpful narrator to remind you what this adventure is about. The test is negative again. What’s to stop him doing this all day? Not you, that’s for sure. To select your next passenger, turn to page 29. It’s a military demolitions expert, wearing his military uniform straight after an important explosives operation. You know what to do. To conduct an explosive trace detection test, turn to page 30. The test comes back negative. This is a surprising and interesting result in its own way. To select your next passenger, turn to page 31. Bla bla bla scan bla bla bla. To bla bla bla bla bla, turn to page 33. To wait for your next passenger, turn to page 34. 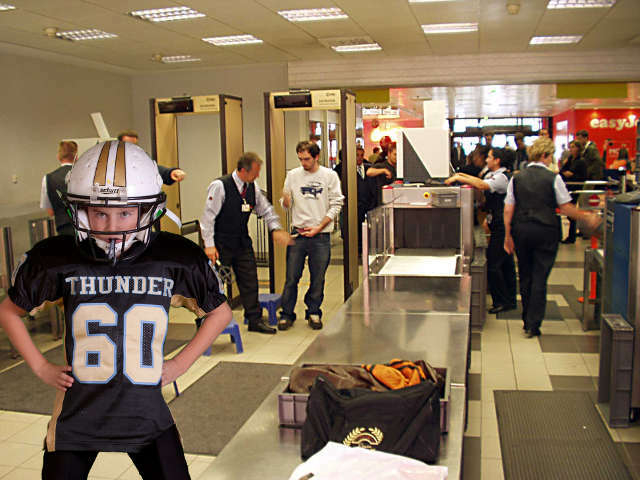 Your next passenger passes the metal detectors. It’s the iconic supervillain known as “The Joker”. Presumably he is up to no good. To conduct an explosive trace detection test, turn to page 35. To ask the Joker to help you escape this adventure, turn to page 36. The Joker is not going to help you. Nobody is going to help you. 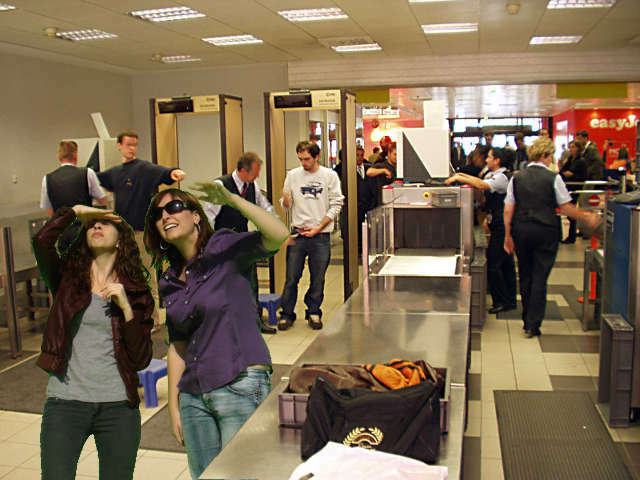 You are here for the adventure of explosive trace detection testing. I am going to pretend I didn’t hear your last selection. To conduct an explosive trace detection test on the Joker, turn to page 35. You wish the Joker a pleasant flight. 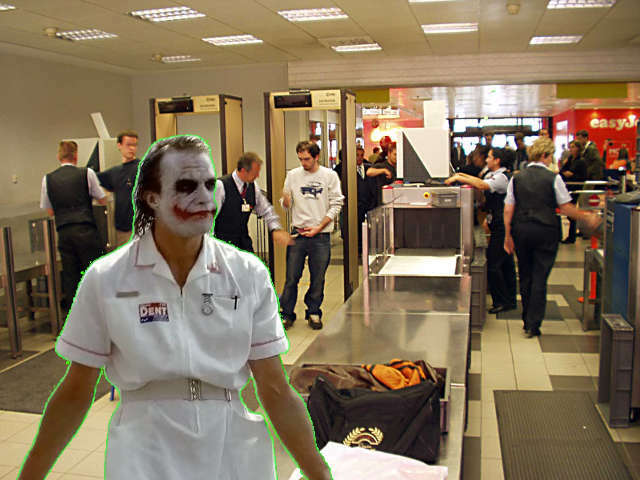 The Joker, a known sadist and sociopath, looks at you with genuine pity as he walks away. To wait for your next passenger, turn to page 37. You seem to be growing restless. But the adventure is just getting started! You scan them and the tests are negative! To nod your head helplessly and keep having fun, turn to page 38. To conduct an explosive trace detection test, turn to page 39. To conduct an explosive trace detection test, turn to page 40. To conduct an explosive trace detection test, turn to page 41. To conduct an explosive trace detection test, turn to page 42. To make the adventure stop, turn to page 43. To scan the child, turn to page 45. No. The adventure does not end. It never ends. Scan the child for traces of explosives. Do it now. To refuse, turn to page 44. But this is not the end. 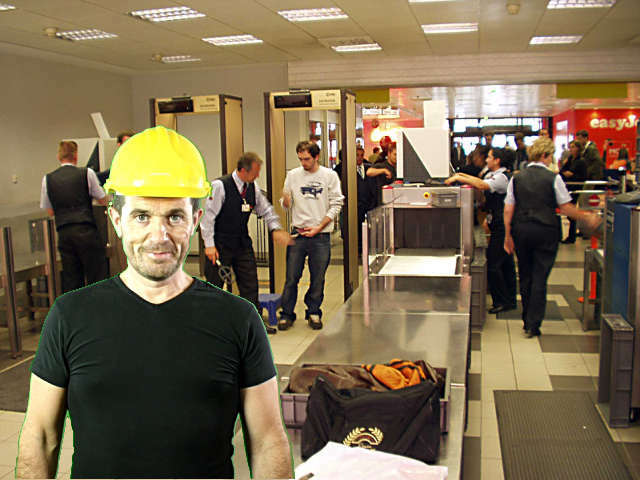 You’re an airport explosives tester now. And tomorrow, you are rostered on again. You scan the child. The result is negative. Everything is as it should be. You belong here now. This is your home. You are the one who scans for traces of explosives. That is all you have ever done. Perhaps you had a life before that, but you don't remember it. Another exciting day awaits you.